On An Overgrown Path: Is this the greatest-ever woman musician? Is this the greatest-ever woman musician? Recent celebrations of women musicians as part of International Women's day started me musing on the question of who was the greatest-ever woman musician? There are many great contenders for the title, from Hildegard of Bingen to Maria Callas and Edith Piaf to Janis Joplin. It can be argued convincingly of course that debating greatest-ever rankings is meaningless as any such judgement is subjective and highly personal. But stay with me, as my nominated contender is particularly noteworthy because she is not the stereotypical white Judeo-Christian celebrity woman musician. Despite her ethnicity Om Kalthoum has a very strong claim on the title of greatest-ever woman musician. When she died in 1975 four million Egyptians attended her funeral, and the diva's recordings continue to sell around a million copies a year. Moreover, her claim to the greatest-ever title is not just based on popularity: among those who have acknowledged her influence are not only Maria Callas, but also Bob Dylan and Robert Plant. Om Kalthoum was born in the Nile Delta in 1898*. Her father was an imam at the local mosque, and taught her to recite the Quran. Learning the art of tajweed - Quranic recitation - was an important part of her music education, as was her experience as a young munshida - Sufi chanter. Her huge popularity is explained not only by her magnetic stage presence and extraordinary vocal technique, but also by her unique repertoire. This overlays its sacred Sufi roots with popular appeal by using traditional Egyptian forces augmented by Western instruments including violins. Above all Om Kalthoum was a performer and all her great recordings capture concert performances. But she was also an engaged artist whose songs spoke to political and humanitarian concerns, and as a result they remain very relevant today. Due to her high public profile she played an important role in the emerging Third World women's movement. She was also politically active, particularly following the overthrowing of the Egyptian monarchy in 1952. 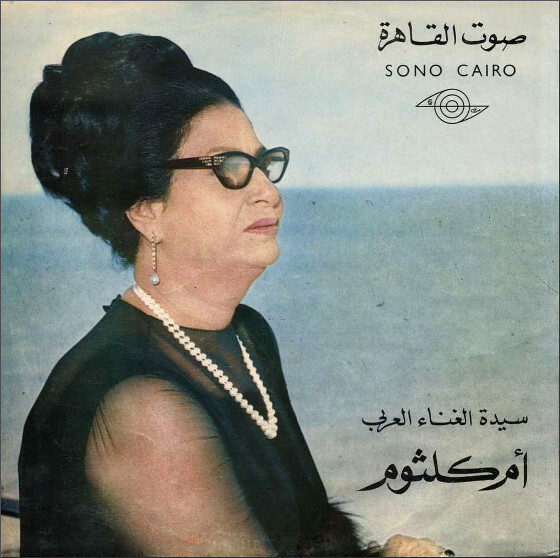 Although her songs were initially banned due to her connections with King Farouk's regime, after the Suez Crisis in 1956 her song Walla Aaman Ya Selahy (It Has Been a Long Time, Oh My Weapon) became Egypt’s national anthem and later the anthem of the federation of Egypt, Iraq and Syria (the United Arab Republic). 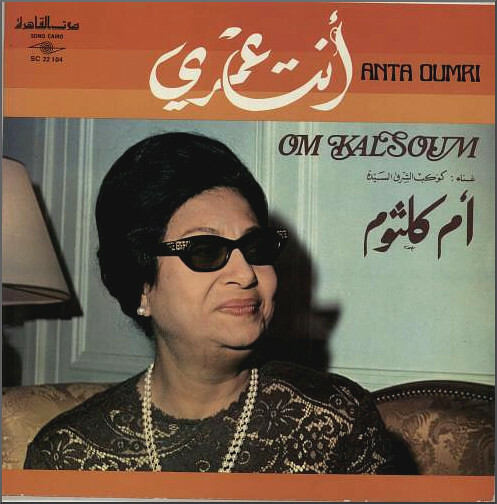 However the true measure of Om Kalthoum's greatness is her influence on other legendary musicians. Robert Plant has said: "When I first heard Om Kalthoum, it was a very important day for me, because it opened, it just enriched my life so much. Even though I hardly understand a word she's singing, because it's in Arabic, I had to take some of the effect it had on me and put it into the music". This effect is reflected in, for example, Led Zeppelin's 1975 classic Kashmir which uses Middle Eastern influenced backing and a vocal delivery in the style of Om Kalthoum. Another legendary musician who has publicly acknowledged Om Kalthoum's influence is Bob Dylan, and these two extracts from interviews are impressive testimonies to her greatness. Bob Dylan: For some reason I've just thought of my favorite singer. Jonathan Cott: Who is that? BD: Om Kalthoum — the Egyptian woman who died a few years ago. She was my favorite. JC: What did you like about her? BD: It was her heart. JC: Do you like dervish and Sufi singing, by the way? BD: Yeah, that's where my singing really comes from . . .
Bob Dylan: I listen to foreign music, too. I like Middle Eastern music a whole lot. BD: She was a great Egyptian singer. I first heard of her when I was in Jerusalem. RB: She was an Egyptian singer who was popular in Jerusalem? BD: I think she's popular all over the Middle East. In Israel, too. She does mostly love and prayer-type songs, with violin and-drum accompaniment. Her father chanted those prayers and I guess she was so good when she tried singing behind his back that he allowed her to sing professionally, and she's dead now but not forgotten. She's great. She really is. Really great. Piracy means sales of legitimate recordings in Morocco are now virtually nil. When I was in Marrakech recently the Virgin store stocked just two groupings of CDs. One was Quaranic recitations, the other was recordings of Om Kalthoum. On offer was a lavish guilt-blocked 20 CD box of Om Kalthoum concert performances which originates from the Emirates and does not seem to be available outside the MENA (Middle East & North Africa region) region**. 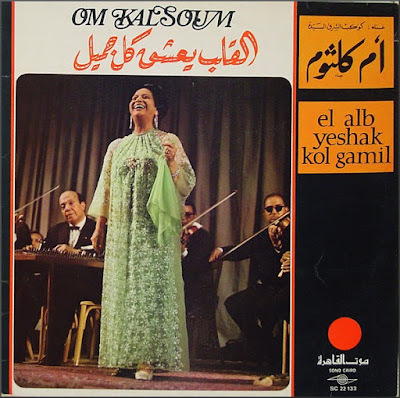 When I first spotted the boxed set I did not buy it: because, although I am a huge fan of Om Kalthoum, I suspected that 20 hours of her in concert might be a step too far. But I took the plunge and I am very glad I did. Despite their variable technical quality, every one of these concert recordings crackles with the electricity flowing between musician and audience, and I have returned to them time and time again. 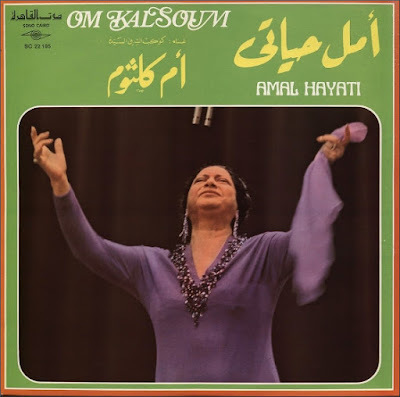 Om Kalthoum's claim to being the greatest-ever women musician can be debated, but it is almost certain that her continuing huge popularity in the Middle East means she has sold more recordings than any other women musician. So in this time of rampant Islamophobia it is worth remembering that the best selling women musician is the Muslim Om Kalthoum and America's best-selling poet is the Muslim Rumi. Can you Trump that? * Birth records were not kept in Egypt at the time so there is no definitive record of the date of Om Kalthoum's birth. An alternative date of May 4, 1904 is also sometimes used. ** Om Kalthou singing Enta Omri (You Are My Life) at a Paris concert can be viewed via this link, and a useful if flaky quality documentary on YouTube about her life narrated by Omar Sharif can be seen via this link. On Facebook Tim Penn notes that Spotify uses the transliteration Umm Kulthum for the diva's name. please tell me why we don't ever even contemplate who the greatest female musicians are? And I thought that singers were different than musicians. and what about joni mitchell? emilou harris? amy winehouse..
Hmmm... I thought we were contemplating who the greatest female musicians are.